If you spend a lot of time on Facebook, you can burn through your mobile data pretty quickly just scrolling past pictures and autoplaying videos. To limit the damage, turn on Facebook’s Data Saver tool. 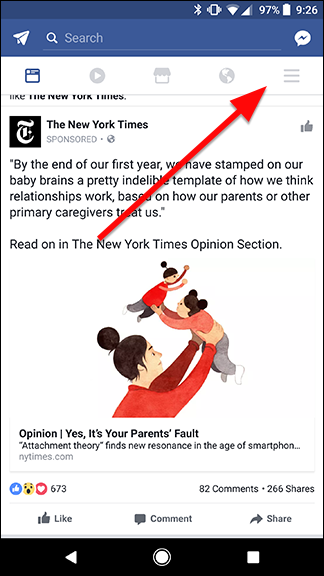 Facebook’s Data Saver fills your feed with smaller, more compressed versions of images as you scroll, so each new post doesn’t consume as much data. Data Saver also prevents videos from autoplaying—which you can turn off separately if you prefer. 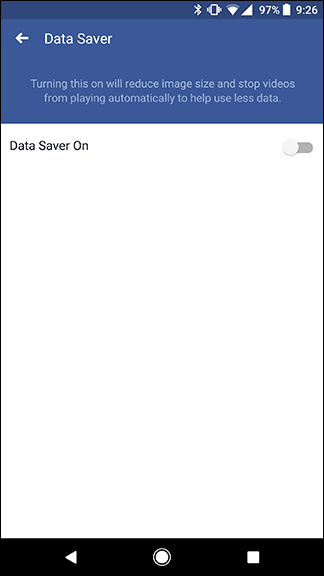 You also can set Data Saver to turn on only when you’re not using Wi-Fi. That way, even if you like autoplay videos, you at least can make sure Facebook only plays them when you have the data to spare. 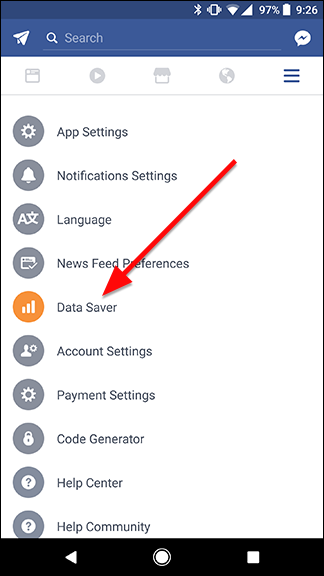 To turn on Facebook’s data saver, open the app and tap the “More” tab in the top right corner. At first, you’ll see only one toggle on this page. Tap it to enable Data Saver. 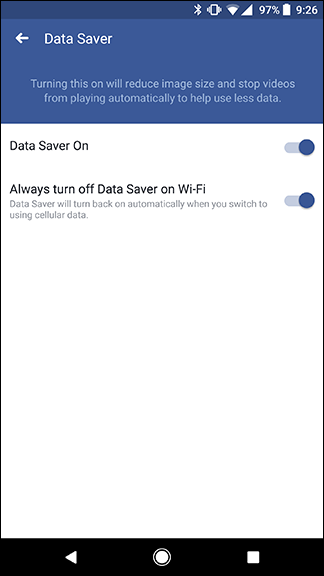 After you enable Data Saver, a second toggle named “Always turn off Data Saver on Wi-Fi” appears, and it is enabled by default. When enabled, this option turns off Data Saver whenever you connect to a Wi-Fi network. If you want to keep saving data while on Wi-Fi (i.e., use Data Saver all the time), turn this option off. That’s all there is to it! Of course, this isn’t the only way to save data (and you can check out our guides on how to save even more data for Android and iOS here), but it will help a bit—especially if you browse Facebook away from home frequently.